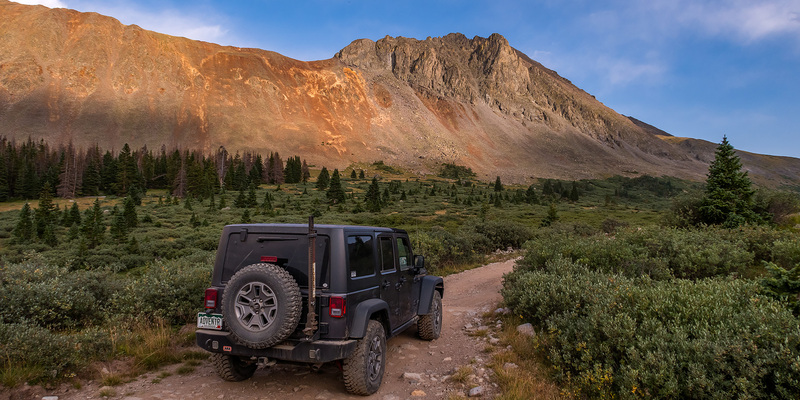 After climbing a few 13ers in the Mosquito Range on Wednesday morning and then stopping for lunch in Buena Vista I headed up the road along Chalk Creek toward St. Elmo into the Sawatch Range again. 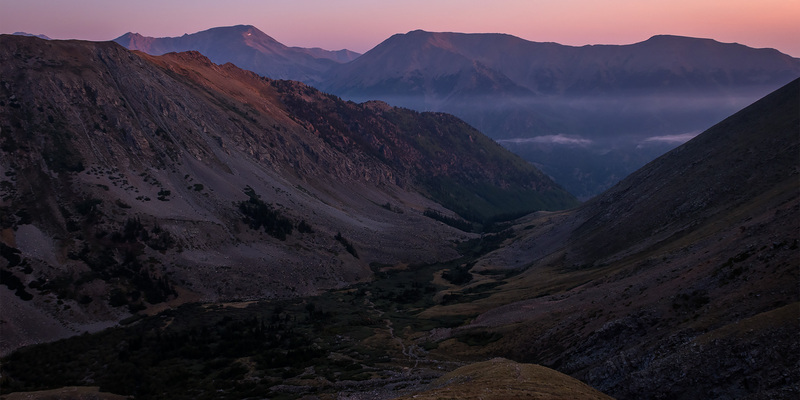 My plan for Thursday morning was to climb a pair of 12ers from Hancock Pass, but since it was still early in the afternoon I had some time to explore for a little bit before finding a campsite for the night near the pass. I started out by driving up to the Pomeroy Lakes Trailhead since I hadn’t been up to this area in over ten years. When I reached the end of the road I wandered around a little bit and found a nice overlook of Grizzly Gulch. This view brought back memories of the one time I drove to Grizzly Lake and needed to use my winch to make it up there. The overlook area was connected to the ridge of nearby Chrysolite Mountain which looked like a fun climb to the summit, but the weather wasn’t looking too great at this time or I might have tried it. Thankfully, the smoke was finally starting to clear out a little bit as the afternoon clouds and storms moved in, so I was able to get a good view of the surrounding peaks. 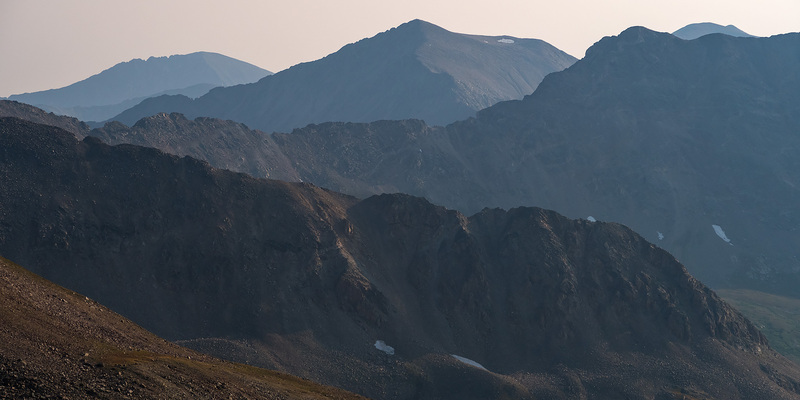 After climbing a pair of 14ers in the Sawatch Range on Tuesday, I headed over to Leadville for dinner and then drove up to Mosquito Pass afterwards, which at 13,185 feet is the highest drivable pass in Colorado. Since I was planning on hiking to the summit of a few 13ers from the pass on Wednesday morning, I thought it would be a good idea to drive up there this evening to see how long it would take me and also to find out what condition the road was in since it had been a few years since the last time I was here. Just like some of the other mountain roads I’ve revisited lately, this one also seems to be in much rougher shape than I remember and it was a slow drive to the top. It was very windy when I got up to the pass so I didn’t stick around too long before heading back down and finding a campsite in Evans Gulch above Mountain Lake with a nice view of Dyer Mountain. I got into my sleeping bag right after the sun set and planned to sleep in a little later on Wednesday morning. 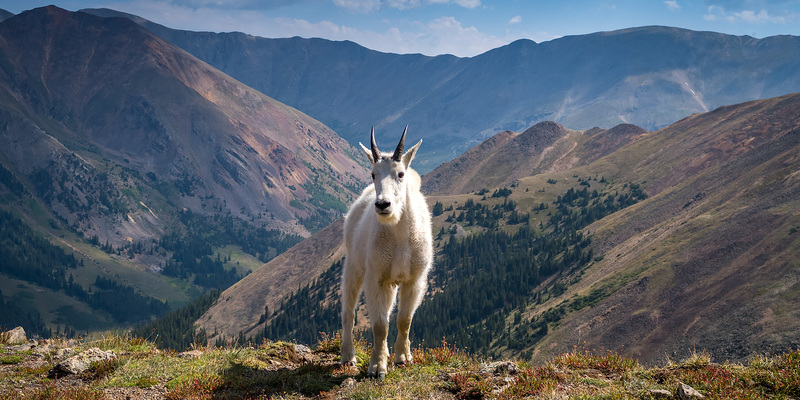 After spending the weekend backpacking in the Gore Range with Diane, we parted ways on Sunday afternoon and I headed over to the Front Range near Montezuma to climb a few mountains as I continued my Colorado Adventure. After an early dinner in Dillon I drove up to Loveland Pass on the Continental Divide so I could hike to the summit of Mount Sniktau (13,234). Even though there had been storms earlier in the day and there were still plenty of clouds moving around, the weather was looking favorable for the climb and I was hoping that the clouds interacting with the light would make for some nice conditions. My legs were still pretty tired from our hike back down from Gore Lake in the morning so I was moving pretty slow, but the weather did hold out. 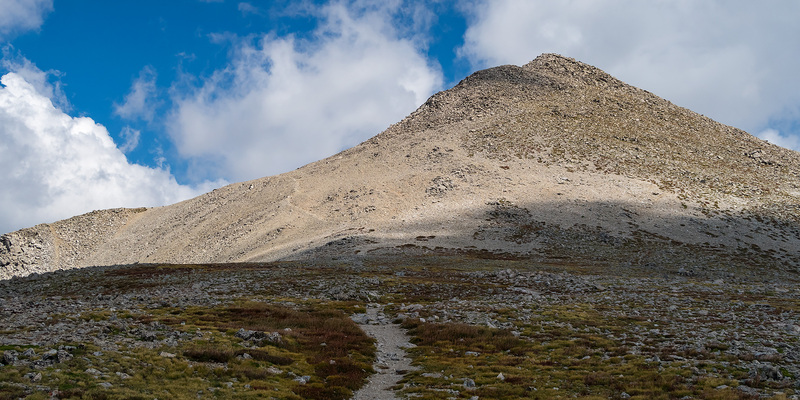 However, once I reached the ridge I was struck by some very strong and brutal winds blowing across the Divide and I had to make use of a couple of rock shelters that I passed along the trail.